For anyone who is still having issues with getting their custom radio key sounds working, export your custom sounds as 48000hz instead of 44100hz, this has fixed it on my end as I was using Audacity to export the sounds and it kept exporting as 44100hz even when I manually changed the setting to export as 48000hz, so I opened the sounds in sony vegas and exported as 48000hz and it worked perfectly. We are currently in the process of re-organizing the unit and are looking for veteran mil-sim players to join the ranks and possibly take up non-com positions. @blackburn03 I'm sure it'll get enough attention as standalone. Looks great mate, maybe a SF variant as in removing the amoured doors? anyway hope to see this in game soon. 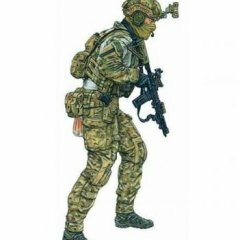 Aussie Commandos In Malden Addons: Cunicos CPC & G3's with custom textures, RR SOTG Helmets, RHS, 75th Ranger Accessories, Military Pack. Tales of the Raiders Baby! SpartanSix's MK14 EBR Re-textures includes; AOR1 Snake Skin Pattern Khaki (spray paint style) Black Download Link: https://drive.google.com/open?id=0B4rBiyy_sfcVY0hLY2JRcm55TUE Classnames: SPARTAN_EBR_black_F, SPARTAN_EBR_khaki_F, SPARTAN_EBR_snake_F, SPARTAN_EBR_AOR1_F Picture: Notes: This will more then likely not be added to, please don't request patterns or updates, since this shouldn't require an update, since it's only a re-texture, anyway hope you enjoy. Mods seen in the picture attached to the MK14; SMA PEQ-15 & Suppressor, RKSL Attachments Pack.